Starring Strictly Come Dancing professional dancer and winner Joanne Clifton, this musical version of the iconic movie is very much built around the dance. What's surprising however is that Flashdance The Musical has a focus on the songs too - not just the pop music from the film, but a new score of original tracks. The show is touring the UK and currently at Birmingham's New Alexandra Theatre until December 9. 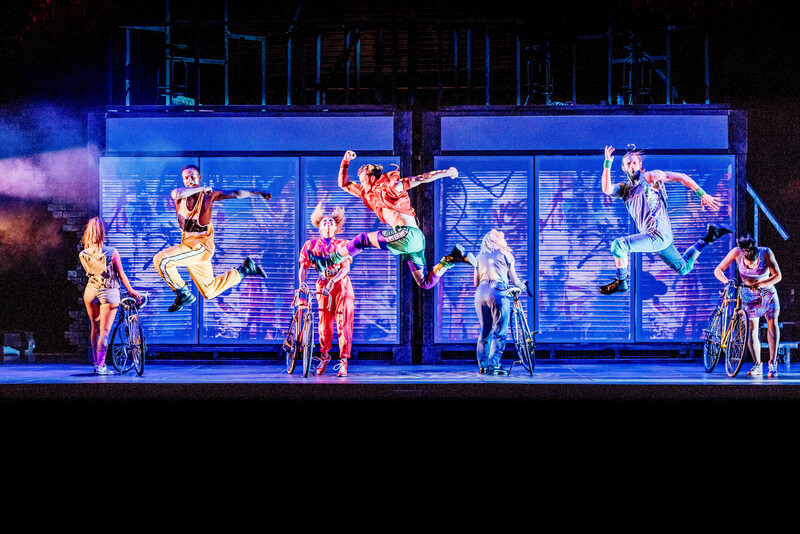 Joanne Clifton swaps her Lincolnshire accent for a convincing American drawl as Alex, the sassy welder by day and dancer by night who dreams of getting into a dance academy. Opposite her is sweet-voiced former pop star Ben Adams, from band A1. His voice is superb but he has been performing since he was just eight years old. Adams manages to make good work of what are mainly average new songs. That's all except the duet Here And Now with Clifton, which stands out. Even though many will have come to see Clifton's dancing, her voice does impress too; but this isn't Clifton's first venture into stage musicals as she showed she could dance, act and sing in previous outings like Thoroughly Modern Millie. Although there are many original songs, they end up overall as padding as what the crowds have really come to see are the songs and dance routines made famous in the movie. It is these tracks like Gloria, I Love Rock'n'Roll, Maniac and What A Feeling that are the real highlights. In fact, a medley of all these hits and more as a finale is one of the best moments of the night. 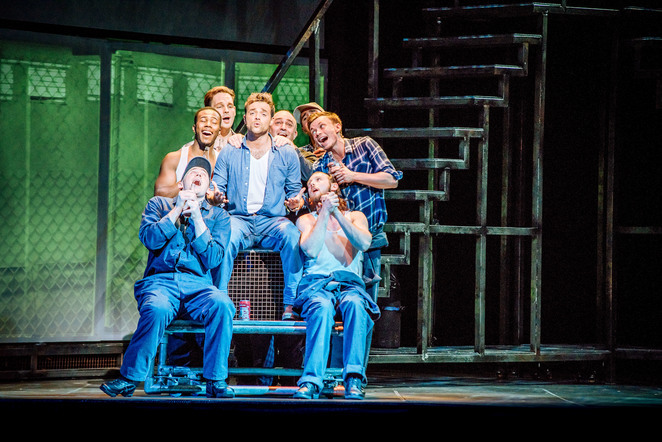 For those who loved the film, they may be a little disappointed that the grit and rawness of the story and supporting characters is a little lost in this production. Although the plight of another dancer, Gloria, is given the most focus and draws the audience in well. The romance between Alex and her boss Nick also plays out just as well with good on stage chemistry between Clifton and Adams. 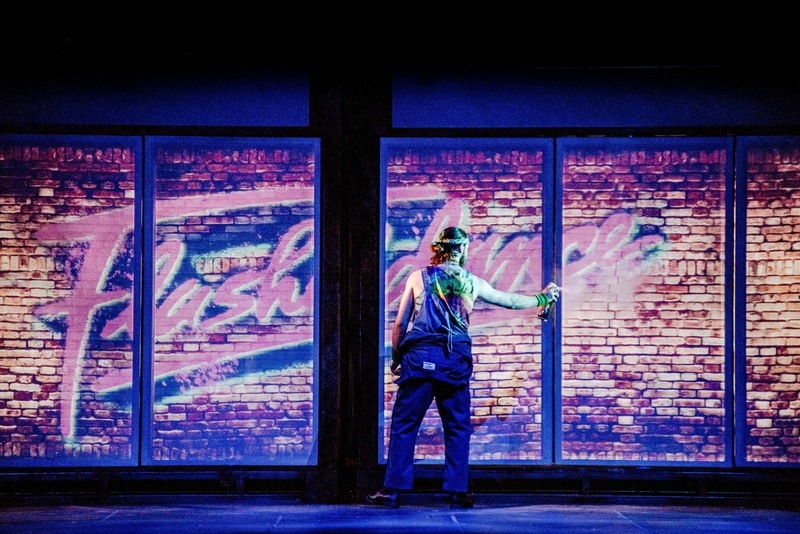 But the dancing is what made Flashdance so famous and Matt Cole's choreography for this version cleverly fuses in elements of ballroom as a nod to Clifton's past. There's a lovely paso doble influenced cape routine early on, but the moves from the film are all there to enjoy too. There's the fast stepping to song Maniac, the water scene in the nightclub to close the first act and the big finale dance audition to What A Feeling. These are what the show should be all about and it's just a shame that some of the added newer elements featuring other characters made the action drag at times. Director Hannah Chissick could do with speeding up the tempo of the plot while the set involved a lot of moving staircases that got a tad annoying. It's Clifton and Adams that lift Flashdance The Musical immensely but ultimately this is a vehicle for the Strictly star. Clifton scintillates from the start with her lively performance and pinpoint dance steps. It's another winning performance for the popular dancer whose carving quite a career for herself on stage.